Rapid climate change will lead to greater shortages of food, fuel, energy and animal feed in vast rural areas of eastern and southern Africa. These are the findings of an interdisciplinary study from Lund University in Sweden. The two weather phenomena El Niño and the Southern Oscillation (jointly abbreviated to ENSO) lead to powerful variations in the climate of sub-Saharan Africa. Until now, it has been unclear how much these rapid variations in temperature, both in the ocean and in the air, affect the supply of food, animal feed, and raw materials for energy and fuel. Now researchers at the Faculty of Science at Lund University in Sweden, together with colleagues in the US and the Netherlands, have made calculations that show how the supply and demand of plant products have changed between 2000 and 2013. The conclusions are that the gap between demand and supply has increased and will continue to grow. 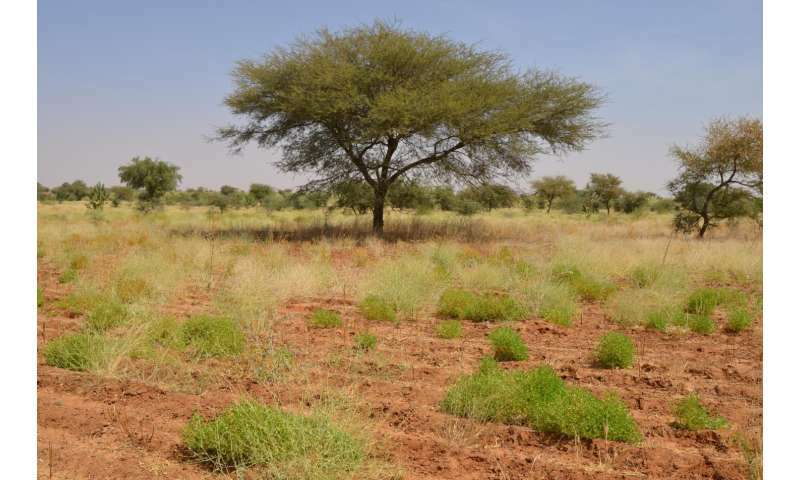 By analysing data from the American space agency NASA and the UN's food and agriculture organisation FAO, the researchers calculated how much carbon dioxide is absorbed by the vegetation in the area through photosynthesis. On the basis of this material, they drew conclusions about how much food, animal feed and raw material for fuel can be produced in the area. These figures were then compared to the increased consumption predicted from population growth. The findings show that when ENSO occurs, it brings negative consequences for the vegetation in the area. This in turn leads to an increased risk of shortage of food and other necessities for the rural population in eastern and southern Africa. "We predict that the situation will get worse insofar as these weather phenomena are likely to become more frequent and serious, while the population in the region continues to increase", says Hakim Abdi, from the Department of Physical Geography and Ecosystem Science in Lund. The researchers' findings are important because they highlight the areas where the shortage of food is caused or will be caused by weather phenomena such as ENSO. "These extreme variations in the climate are a real threat to small communities and villages south of the Sahara. Our findings give those in power better grounds for their decisions and highlight the importance of taking account of phenomena such as ENSO when taking decisions concerning the food supply," says Hakim Abdi. The findings are published in an article in the scientific journal Climatic Change.